You’re convinced of the benefits of moving to a cloud-based human capital solution like Workday or Employee Central, but you’re intimidated by the challenge of converting potentially decades of data from legacy systems. You’re not alone. The effort to plan for and execute a conversion of human capital management (HCM) data can be intense as it touches every employee in a corporation and can have major financial, compliance, and public relations ramifications. 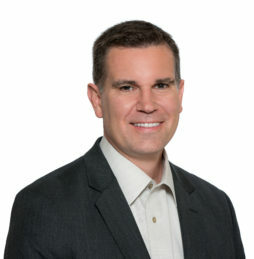 ScottMadden recently assisted a leader in the film and television industry to implement a new cloud-based HCM solution. Based on our experience and expertise, we recommend the following five key guidelines to help make your data conversion a success. Make data security an organizational habit. Before anyone on the project touches your organization’s HCM data, make sure you have developed a data security policy and walked the entire team through it. Large project teams working on any lengthy implementation must share data appropriately and securely. Ensure the policy accounts for resource changes as individuals roll off and new faces join your team. Reduce key-person risk. Your legacy HCM systems probably rely heavily on a small handful of employees who know the systems and data well. Without these people, any go-live will be severely hampered, if not impossible. Identify these resources early on in the project. Draw out their knowledge and develop back-ups who can modify and run conversion programs and validate the data. Investing in this resource planning effort at the outset of the project will help to avoid data conversion roadblocks as you get closer to go-live. Anticipate the unexpected. As you begin to convert data into any new HCM system, your organization will likely face more challenges than you anticipated. Setting aggressive timelines can lead to early failures and burnout. Building a cushion into any rehearsal timeline—perhaps as much as 100% early on—will allow day-to-day activities to get handled and your employees to give their best to the project. Set up validation checkpoints. You will save time and resources by developing tools that allow you to pinpoint where errors are occurring in the HCM data conversion process. A good approach is to conduct two validations during any conversion: legacy system-to-data extract and data extract-to-target system. Prioritize what data must be cleansed prior to go-live versus post-go-live. As your organization rehearses converting data, you will likely identify thousands of records that need cleansing. Ensure you have a process for determining cross-functional criticality. Pay-impacting HCM data should be the focus, but you will need to consult all stakeholders since key integrations will probably require cleansing additional data before go-live. ScottMadden has helped lead many clients through data conversions and would be happy to talk about the unique challenges involved with yours. For more information, please contact us. ScottMadden has developed an approach for analyzing data center requirements and driving improvements in existing data center retrofits. This article reviews the top five tips to help your organization avoid common, last-minute Workday implementation pitfalls.